There is only one thing that any movie is not allowed to do to me: bore me. I’ve sat through a whole lotta movies in my life and a sizeable portion of them have been either bad ones or outright stinkers. But at least they kept me interested and entertained on some level. There’s nothing worse than a boring movie. Especially one that I have been looking forward to seeing and FLYBOYS fits in that category. 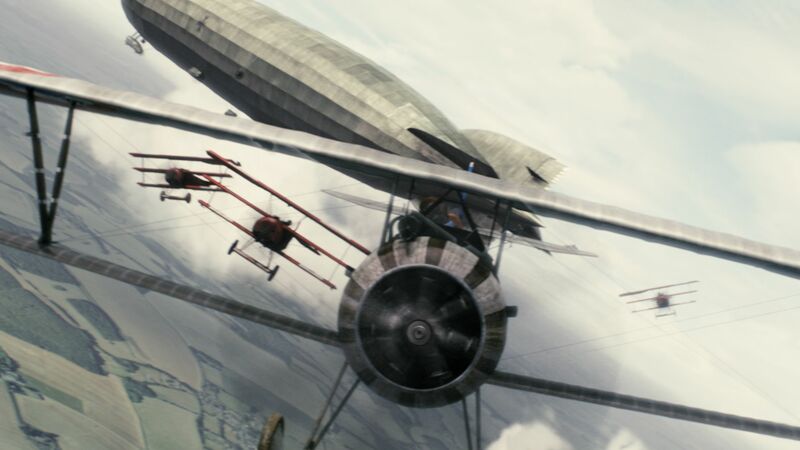 I’ve always been interested and fascinated by World War I and FLYBOYS looked as if it would be an exciting adventure film set in that period. I’d have got more excitement washing the dishes. I actually fell asleep twice while watching it and had to go back to see what I missed during those brief naps. Not that I missed anything of value. I could have kept on watching without a problem. The movie concerns the adventures of The Lafayette Escadrille, a group of American fliers who join The French Air Service prior to America’s entrance in The Great War. Aerial warfare then was something akin to Arthurian knights jousting. Pilots saluted each other and treated each other with honor and respect. There’s a sense of gallantry on both sides, as in one scene where an American pilot runs out of bullets during an aerial duel and the German pilot breaks off the fight and allows his opponent to go home so that they can finish the fight fairly another day. There’s a brief sequence that introduces us to some of the pilots we’ll get to watch fight and fly: Blaine Rawlings (James Franco) is a Texas cowboy who’s lost the family ranch. Eugene Skinner (Abdul Salis) is a black expatriate who has found success as a boxer in Marseilles. He feels loyalty to France because living and working in that country has allowed him to escape the rampant racism in The United States so he signs up. Briggs Lowry (Tyler Labine) is a slightly overweight underachiever who has just been kicked out of Harvard. His fat cat dad pressures him to sign up in the hopes that war will toughen his son up and make a man out of him. Eddie Beagle (David Ellison) is a good flier and an even better shot: he just can’t do both at the same time. These guys are barracked at a gorgeous French chateau that has been bought for their use by rich American backers who want their boys to have the best and there our heroes meet the legendary Reed Cassidy (Martin Henderson) who has a pet lion and whose past is mysterious and shady. He also has a Zen like approach to flying and aerial combat that has kept him alive long after he should have been dead. He’s one of those types who don’t get close to the other fliers because he doesn’t want the grief when he has to watch them die. The squadron is trained and led by Captain Thenault (Jean Reno) who isn’t adverse to bending the rules and looking the other way when his boys go on unauthorized missions. The movie is so predictably paced and plotted that I accurately guessed most of the scenes two or three minutes in advance: you’ve got your training scene, you’ve got your scene of the fliers getting drunk together and bonding, you’ve got your scene where the black boxer punches out a racist, you’ve got your scene where Rawlings meets up with a lovely French girl (Jennifer Decker) and they begin a sweet romance. I even guessed the correct order in which the pilots died. In short, there is nothing remotely suspenseful or surprising about this movie at all. 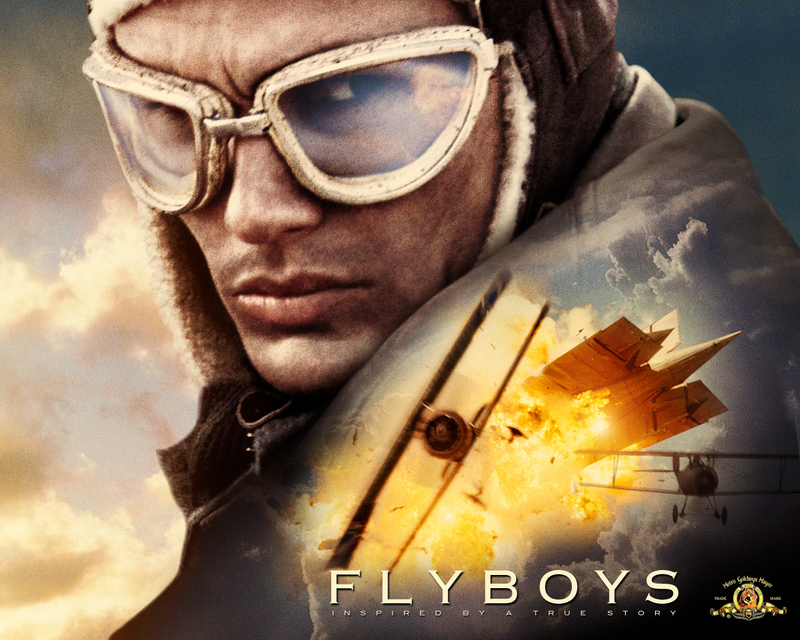 Even though I had never before seen FLYBOYS until last night I had the strangest feeling I’d seen this movie before. That’s how familiar the material seems. Know how dull it is? Here’s an example: there’s a scene where Rawlins has to rescue his French girlfriend from a house full of Germans. They don’t know the girl is in there and Rawlings literally walks right past them, gets the girl and walks out. What should have been a scene full of danger and suspense is about as dangerous as going to the store for milk. And why does he struggle to talk to her in the hospital with an English to French phrasebook when there are half a dozen people standing two feet away who can speak French and English and can translate for them? Strangely enough, even the dog fighting scenes, which should have been the most thrilling and exhilarating lack any kind of energy or excitement. I will say they are beautifully photographed and the CGI airplanes look terrific. In fact, this is a wonderful looking movie and I dug the planes and the gear that the guys wore. The production looks great and I only wish there was more of a story to go with it. The acting is undistinguished. I will say that James Franco, Jean Reno and Martin Henderson look as if they’re having the time of their life and they do try their best to bring a sense of devil-may-care excitement and fun to the movie. But even they can’t save this one. It’s slow, it’s plodding and nowhere near as thrilling and exciting as the trailer. Pass it up even if you get a chance to see it for free.